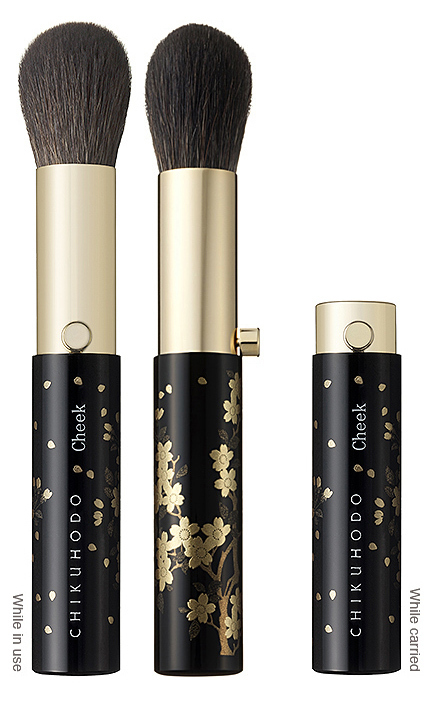 A portable blush brush with a gorgeous handle fully lacquered in the style of Ishikawa Prefecture's traditional craft Yamanaka lacquerware. 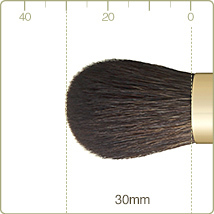 The brush is made of a blend of soft gray squirrel hair and brightly-colored horse hair. It is soft and perfect for touch-up.